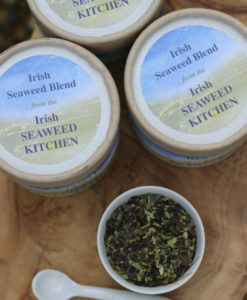 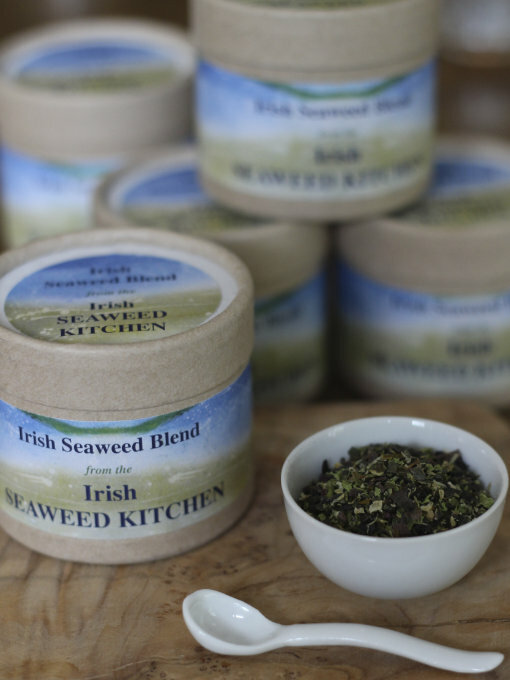 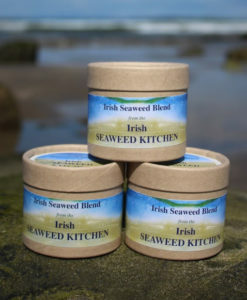 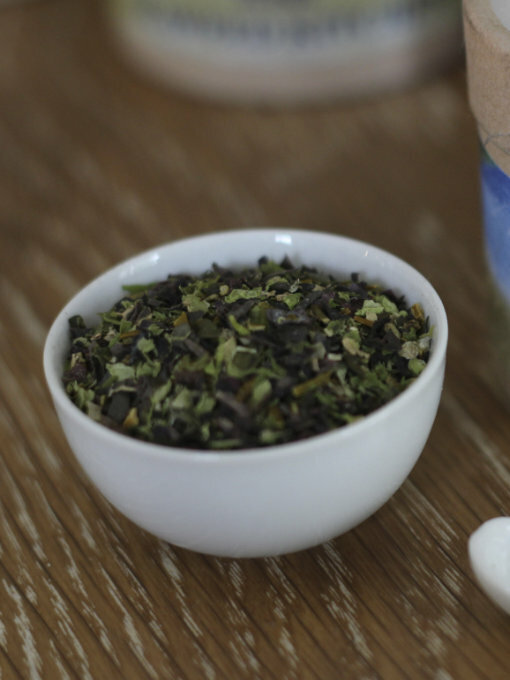 This practical and beautiful little cardboard pot contains 20g of dried finely milled Seaweed Blend in a glassine bag. 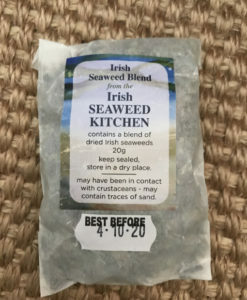 Store near the cooker or table to sprinkle over food. 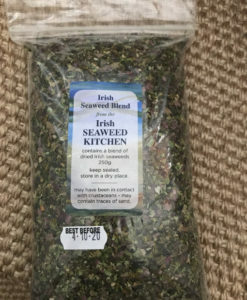 It can be blended into smoothies and soups and sprinkled over rice, pasta, salad dressings, fish and eggs. 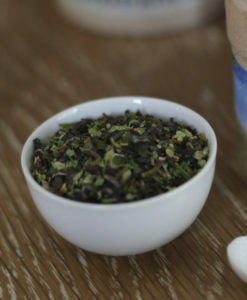 Mix with olive oil and a hint of garlic for an instant pesto. 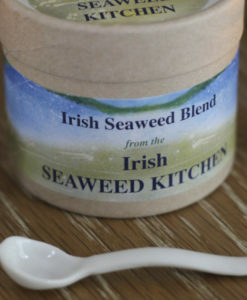 A magic wand in a jar.